We offer Product Management templates that map to our Optimal Product Process™, are included in our training and are sold as standalone toolkits. These Product Management template collections allow you to create more effective and professional documents in less time. Built upon best practices and the Optimal Product Process, this toolkit contains the most common documents that Product Management professionals need to deliver. 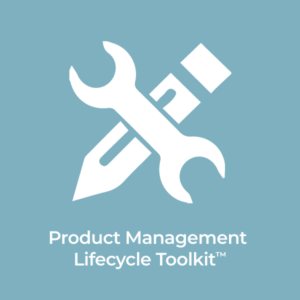 This toolkit includes templates for all seven phases of the Product Lifecycle. All eight 280 Group toolkits with over 208 templates and dozens of samples/examples on these topics: Product Lifecyle, Product Roadmaps, Product Launch, Feature Prioritization, Beta Programs, Competitive Analysis, Developer Programs and Review Programs.